BOSTON, MA (November 15, 2018) – The Boston Cannons Foundation officially announced today that they have raised more than $115,000 to benefit Boston Children’s Hospital during the 2018 calendar year. 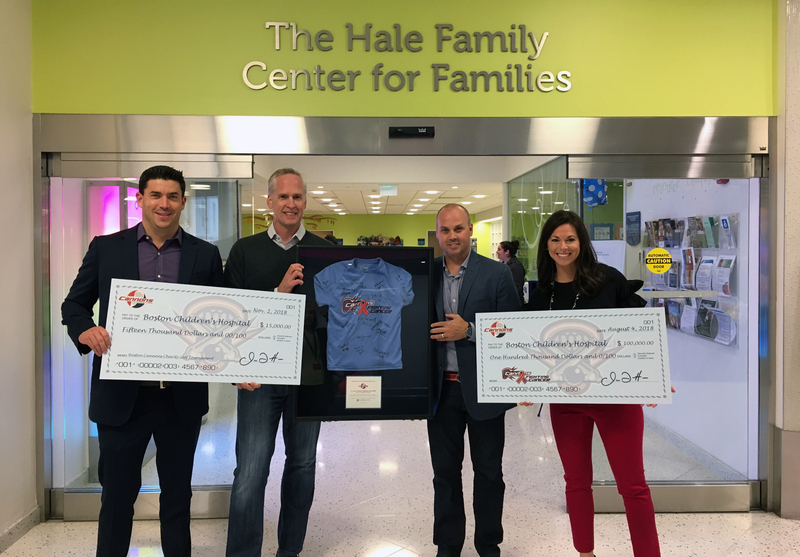 Two primary initiatives lead the charge for the Boston Cannons Foundation commitment to the #1 pediatric hospital in the world. First, $100,000 was raised during the 3rd Annual “ Cannons Fighting Cancer” season long campaign that was completed on August 4th at the Cannons final game of the season; and second the Cannons Foundation Annual Golf Outing hosted in October at Cohasset Golf Club, raised $15,000 for Boston Children’s Hospital Child Life Fund. The Boston Cannons Foundation has generated more than $300,000 in total over the program’s first three years to benefit Boston Children’s Hospital and other organizations dedicated to finding a cure for cancer. Cannons Fighting Cancer was created to unite the lacrosse world while bringing the medical community, research institutions and inspiring individuals together who have made an impact in the fight against cancer. Proceeds from the season long fundraising efforts benefited Boston Children’s Hospital’s Cancer and Blood Disorders Center. The Boston Cannons Foundation had support from many fans and team partners including Granite Telecommunications, BJ’s Wholesale Club, Suffolk Construction,OPTUM, Citizen’s Bank, and trimino™ to lead the fundraising efforts for this program. Straight donations as well as pledges “per goal scored by the Cannons” during the season helped reach the $100,000 mark. The Cannons scored 180 goals in 2018, an average of 13 goals per game.